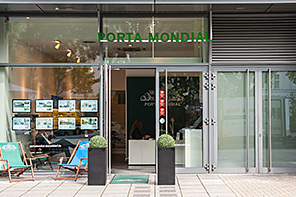 Customer Testimonials What customers say about Porta Mallorquina Real Estate Here our customers write about their experience with Porta Mondial Düsseldorf - on the purchase, sale and long term rental on Düsseldorf. Your opinion is important to us! Write to us, and let us know if you were satisfied with our service. We look forward to your feedback. 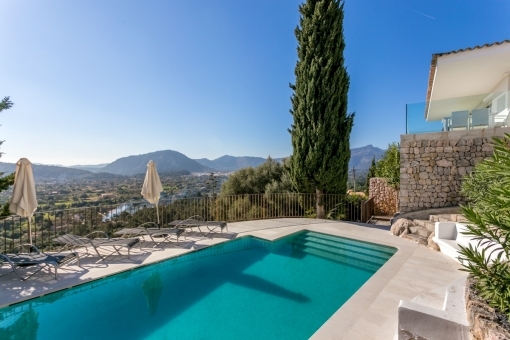 "Ms. Maxi Kümpel’s outstanding and capable work helped us to find our dream flat in Majorca. Thanks to her great empathy, she was able to find what we required very quickly. Many thanks for that. We would also like to say that, in Maxi, we got to know a very likeable person." "In recent years I have let and sold several flats with the help of Mr. Parlak at Porta Mondial. He has a very professional approach and he relieves me, as the owner, of a great deal of work. He always finds solvent tenants and achieves good sale prices. I am very happy to recommend him.”"
"Mr. Parlak has once again proved himself to be highly capable and personable. It is a pleasure to look for the right property with him." "Dear Ms. Börsch, my husband and I would like to thank you for the nice, pleasant and successful working relationship. You have just sold the Kötters’ third flat. The asking price – the real value of the flat – has always been achieved with the exception of one apartment. This exception related to the sale of a flat on Benzenbergstraße where a discount of 1 % off the asking price was granted. During the sale of our flats, we observed your acquisition skills and your sales skills. My husband and I see your abilities as out of the ordinary, Ms. Börsch. Thank you. Best regards from Renate and Hubert Kötter. " "Many thanks for the exceptionally dedicated and positive customer service while we were buying our property, Ms. Börsch. You were at our side with valuable help at all times, and you provided your advice right from the start of the project and, most importantly, even after the sale had gone through. We would like to thank you very much for that. With best regards – Silke & Dirk Heming." "Ms. Kümpel’s guidance and customer care was very satisfactory in every regard. Our working relationship was characterised by timely, obliging, pleasant and open communication. We felt very well looked-after." "We recently bought a freehold flat through Porta Mondial and its employee, Timur Parlak. We are very satisfied with his performance and his friendly, capable customer service – in other words, the viewing, communication and the subsequent handling of the sale. 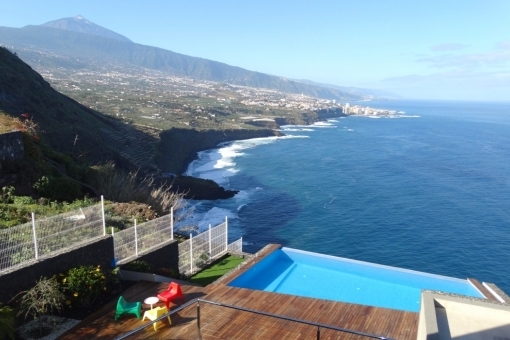 Many thanks and best regards from the Kazakov family.”"
"Very fast sale, capable advice and customer care, first-class presentation of the property being sold, and really nice, friendly and, above all, professionally trained consultants. In short – an “all-in package”. Customers feel well looked-after here and can be confident that their property will be sold, or the right one found for them." "Dear Porta Mondial team, we had a lot of negative experiences with estate agencies and property managers when we were looking for a property in Düsseldorf North. Right from the start, Ms. Börsch provided us with professional and, most notably, highly motivated assistance. We are very grateful to have found Porta Mondial, and we are looking forward to our new home. We will certainly be recommending your services." "Ms. Boersch worked very well and incredibly fast, putting in a huge effort, and she also maintained very good contact. Excellent customer care all round, and very good professional advice. The sale went through in a very short space of time and without any problems. Many thanks! Keep it up!" "The flat was let quickly and to our complete satisfaction. We were particularly impressed by the way the tenant was chosen and vetted. Our communication with the estate agency team was straightforward, fast and friendly." "The handling of this joint business was completed to my complete satisfaction. Clean, punctual and professional – just as one would expect from partners. Our contact, Ms. Natalie Börsch, proved to be exceptionally competent as well." "Very committed, friendly and capable service when I bought my property. Many thanks." "I was satisfied on the whole. It would not have been necessary to put so much pressure on me, I was going to buy the property in any case." "Good performance, good availability, well-arranged documents – would be happy to use your services again." Rating 4.73/5 with 15 Testimonials.